I remember the first time I saw hand carders. It was on a school field trip to Rose Hill Manor when I was in first grade, and they let us children touch wool and try carding it. Obviously, I lacked the skills to do it properly as a 7 year old. The biggest mistake beginners (and curious children) make is touching the needles to each other. They should not touch. Carding is not combing. Wash the wool without agitation or felting and rinse well, or do any desired dyeing. Place a towel on your lap to catch the pieces of dirt that will fall out, because dirt will come out no matter how clean the wool appears. 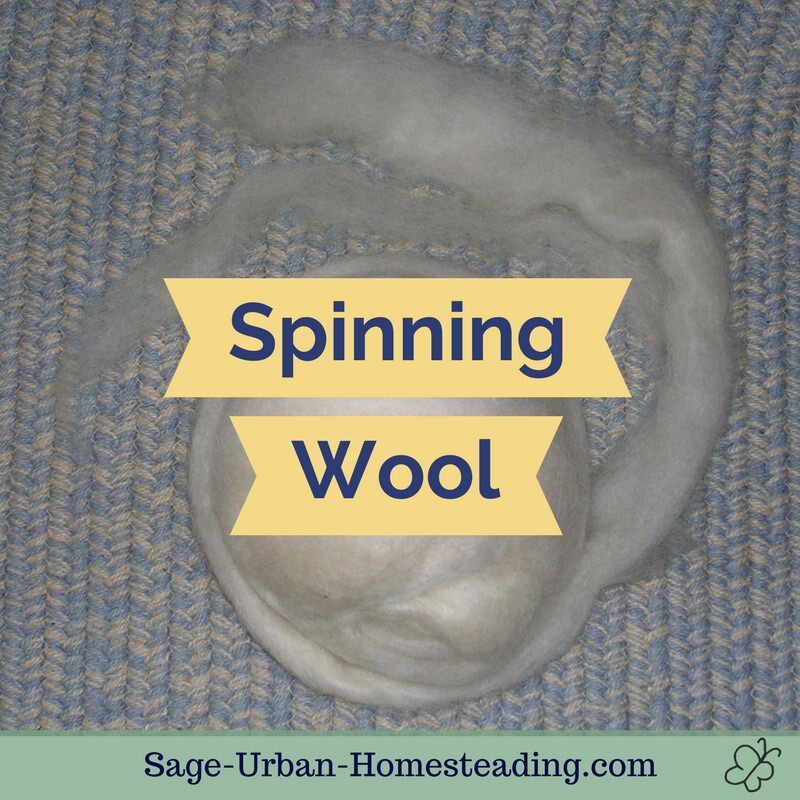 Charge one carder by loading it in a thin even layer of wool all going the same direction. Don't try to do too much at once or the process will take longer and the results won't be as good. Without allowing the needles to touch, run the other carder lightly across in the direction of the wool so that it gradually transfers with each pass. 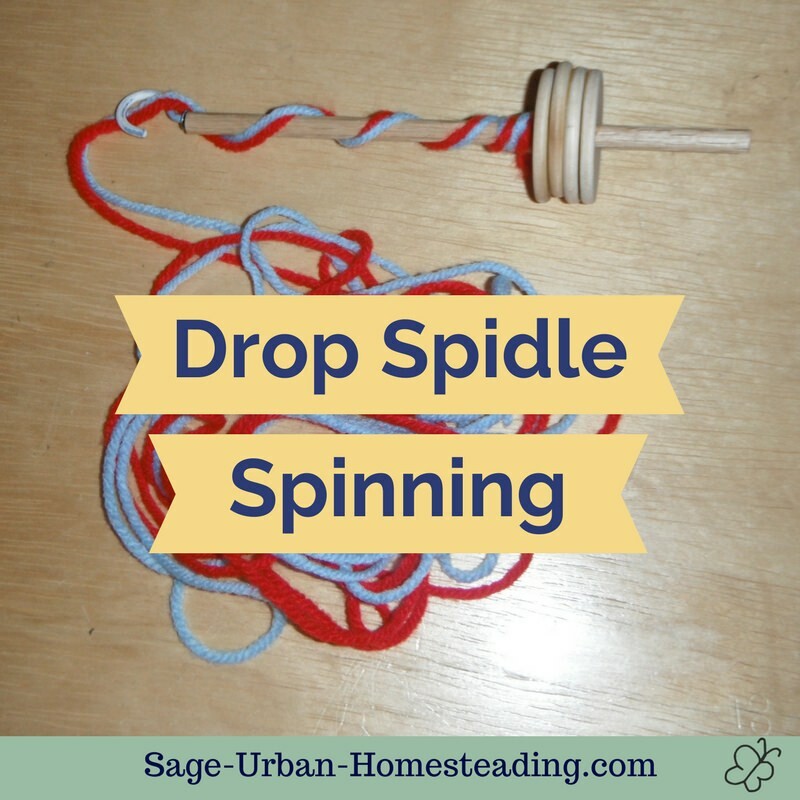 Each pass should be complete with no fibers hanging on when the next motion is started. When the fiber is evenly split between both cards, lift the ends from what is left on the charged card and flip it all off onto the second one. Repeat the process until all of the wool is as smooth and blended as you want it. 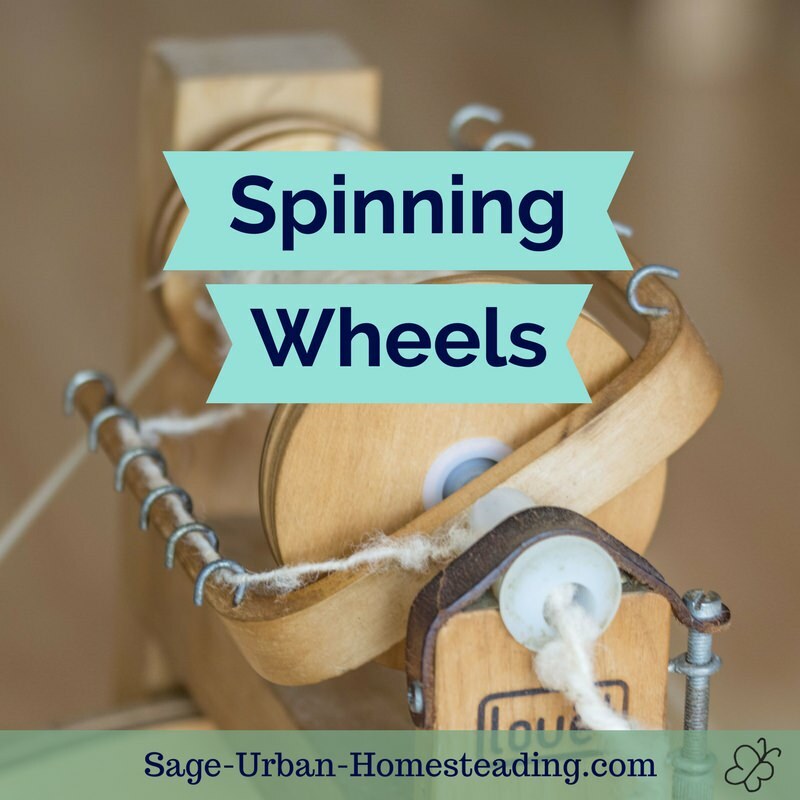 Hand carded wool can easily be rolled into a rolag or pencil roving by loosely rolling toward the handle then rolling it on back of the cards to make it more compact. 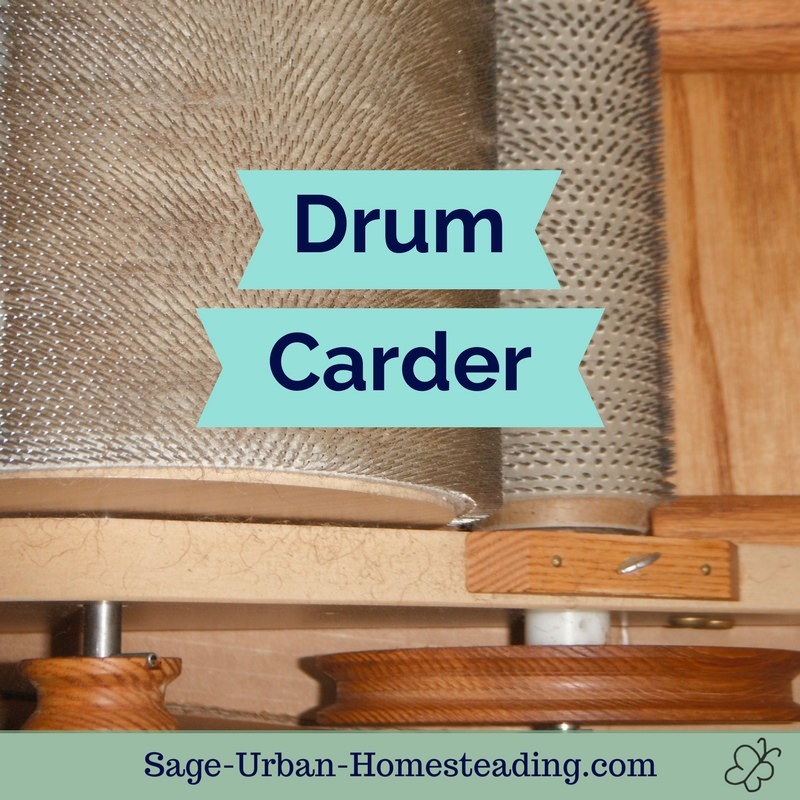 I actually use a drum carder at home. I find it much faster, more efficient, and it produces a neater result. 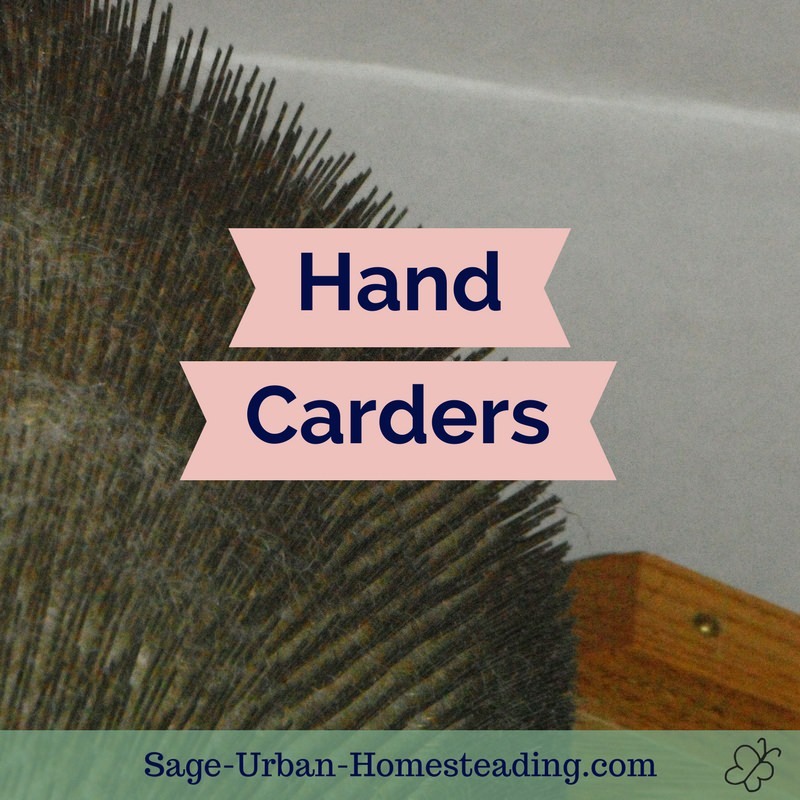 Drum carders take more skill to make, so the hand paddles are most likely what you will find at museums and historical sites since that is what early Americans had to use. Hand carders are also much more lightweight and transportable, so you might see them used at festivals.